We’re Building A Better Idaho! We are loving 2016! Beyond it just being a very active year for solar thermal we’re thoroughly enjoying the opportunities we’ve been given to work with some of the valleys most progressive home builders. The RENW team just finishing up this rooftop install in conjunction with Flynner Homes. The home itself is facing South for optimal energy collection and features a slightly sloped TPO membrane seal roof and will be using energy from the sun to heat water 365 days a year! We also just finished another solvar HVAC install with Earthcraft Construction! We love their attention to detail and passion for using advanced technology to build energy savings right into their homes. One of our favorite project has been the straw bale homes they’ve been creating – these systems will heat/cool the home and provide the hot water as well! The home owner is adding 10 Solar Photo Voltaic panels and estimated total cost of energy for the home is $60 – that’s $60 is per YEAR! 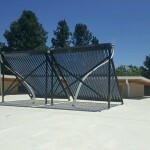 But solar isn’t just for saving on your home energy costs! 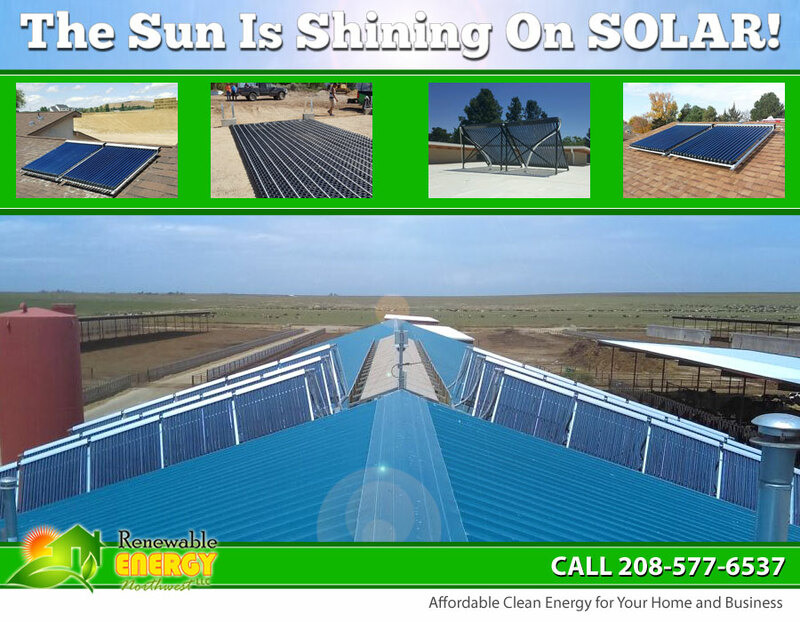 Harmony Organic Dairy in Twin Falls is already saving since they made the switch to solar thermal! The system we installed for them will create over 1,000 gallons of 170 degree water every single day for cleaning and sanitation uses. The dairy was awarded a USDA REAP grant covering 25% of the installed cost of the project! Sustainable organic milk? Now that’s good for the body and the soul! These teams of future minded companies are helping to build an even better Boise and Treasure Valley! The RENW team would love the opportunity to speak with you about how harnessing the power of solar can help you cut your energy costs this year – just call 208-577-6537 for your FREE solar site estimate today!